I don’t usually wear jewelery round my neck. I guess, as of lately I don’t really fancy my neck. Seem’s I’m a heartbeat away from making ascots and turtlenecks a habit. But I simply could not resist this vintage three strand necklace. At under $10, I think the oversized baubles are fun and I loved the colors. I wasn’t sure what it might go with but I actually have a tank top that matched it to perfection. Admittedly I own too many, but that’s a good thing right? I started thinking about an outfit and as usual it’s a mix of old & new. It’s Clunky but it’s funky. What’s that Blossum, that one too? Good one, but I think I’ll wear just one bangle today. How have I missed all these posts!!!!! 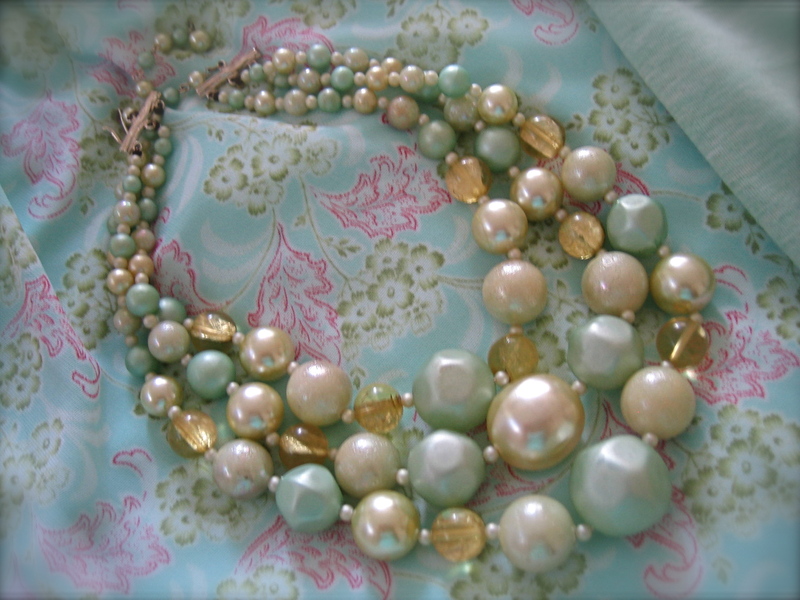 It’s a lovely necklace… and the ensemble goes great together! Though Blossum’s choice would also go well with it. HA, I do think Blossums priorities are Play, Eat, Sleep and then if time permits….’Be a Fashion Diva’, HA thanks for visiting. 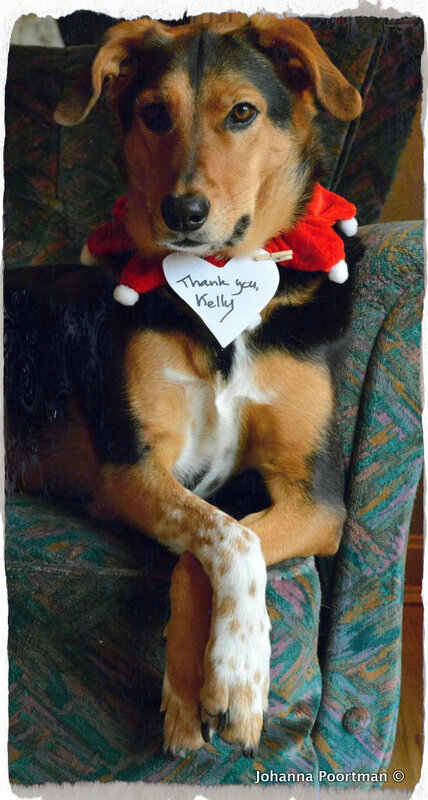 Well, great minds think alike…Kelly’s seldom differ (I too am a Kelly) Infact your ‘About Page’ could be ME! That’s awesome! You aren’t the first person to that that about my “about me”, it seems to be the growing tremd these days! GREAT MINDS is right, for sure!